Understanding vapour transport phenomena in glassy polymeric materials is of key importance in the meaningful analysis of several processes of industrial interest, from desolventization to coating deposition, and in a number of design problems, as those for gas sensors or drug delivery devices. non-Fickian characteistic of the diffusion of low molecular weight species in glassy polymers is both a challenge for the prediction of kinetics of mass transport processes and an opportunity to design tools and processes with new features. Representation of sorption and diffusion of a gaseous or vapour species in a glassy polymer cannot be given without accounting for the non-equilibrium nature of the host matrix and specific thermodynamic tools need to be developed to address this problem. Non-Equilibrium-Lattice-Fluid (NELF) is a specific approach developed to this aim at the University of Bologna more than twenty years ago. Advances in this modelling efforts have been recently obtained by coupling the description of thermodynamic properties of polymer-solute mixture with the representation of its rheological behaviour for volume swelling/shrinking. 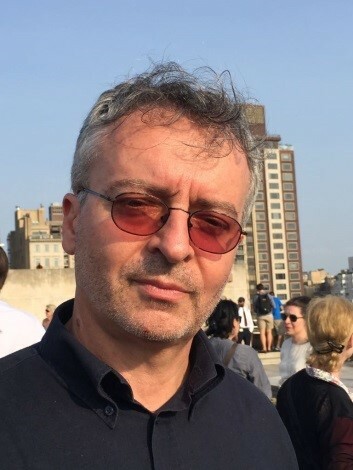 Born in Rimini (Italy) in 1961, Ferruccio Doghieri graduated from the University of Bologna with master degree in chemical engineering in 1986. He joined the faculty at School of Engineering of the same university soon after receiving his PhD from the Italian Ministry of Higher Education, in 1990. Since 2002 he has worked as full professor in Bologna, where he served as Head of Chemical Engineering Department until October 2012. He was visiting researcher at North Carolina State University in 1987 and visiting professor at University of Minnesota (Fall 1999), at Technical University in Dortmund (Spring 2014) and at Columbia University in New York ( Spring 2015). He mainly devoted his research activities to the analysis of mass transport processes in polymeric materials and his group developed a lab for the characterization of thermodynamic and transport properties in materials for the production of barrier film or gas separation membranes. He authored about a hundred publications, in which results from experimental characterization of different gas and vapour transport processes in polymeric materials grow together with modelling efforts to represent non-Fickian features of the phenomenon.